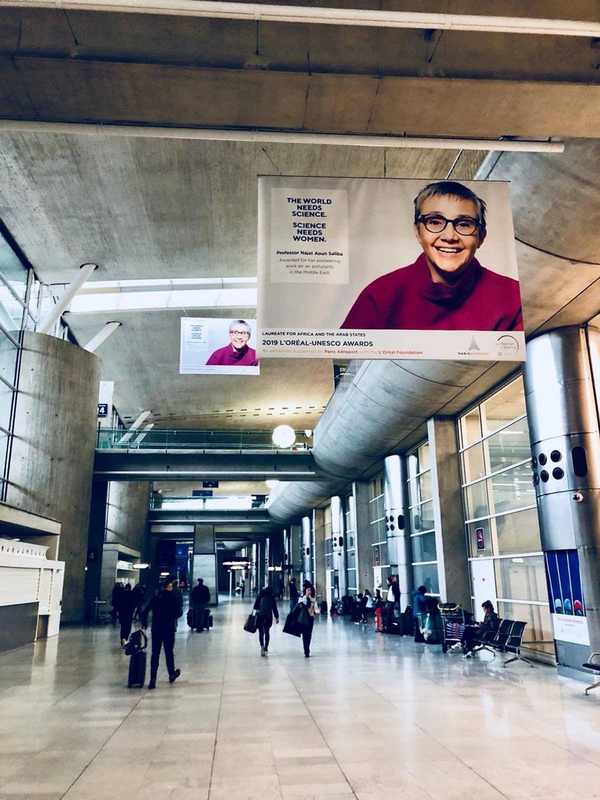 France’s First Lady personally congratulated the Lebanese scientist, who had a banner gracing Charles De Gaulle airport in Paris. The L’Oréal-UNESCO International Awards For Women in Science honours five outstanding women scientists from each continent for their outstanding research in fields of material science, mathematics and computer science. 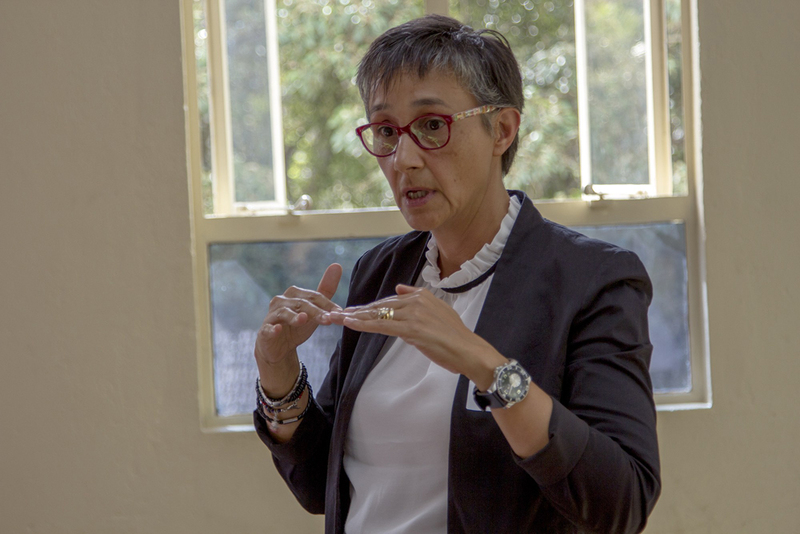 And for the 21st edition an international jury chose Dr Najat Saliba, a Lebanese Professor of Chemistry at the American University of Beirut (AUB) as the 2019 Laureate for Africa and the Arab States. Saliba’s achievement was celebrated in March during the For Women in Science Week at the UNESCO headquarters in Paris. She was rewarded €100,000 for her groundbreaking work in assessing and understanding the transformations of ambient pollutants in Lebanon and the Middle East. Saliba, who is also Director of AUB’s Nature Conservation Center, has identified toxic and carcinogenic substances in modern nicotine delivery systems too. 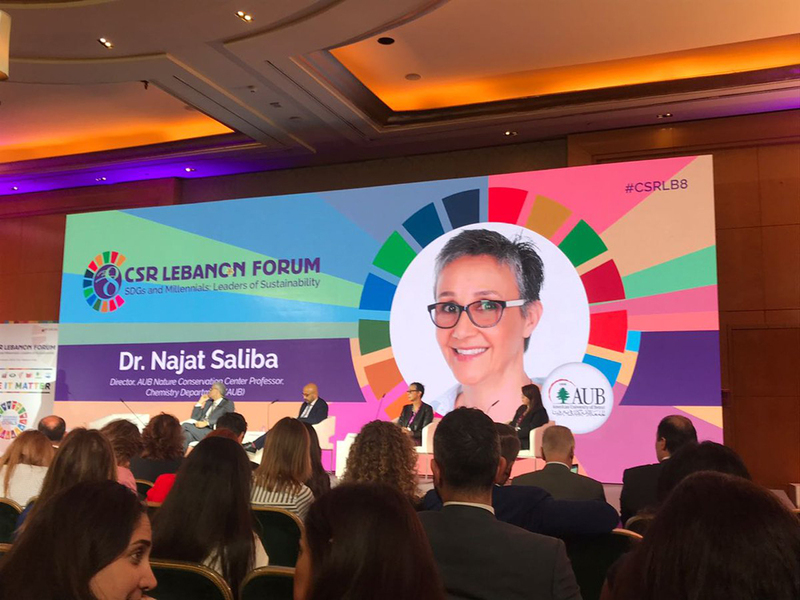 "To recognise the efforts of someone who is struggling to make a renowned lab in Lebanon that stands firm with the data it generates against all the violations towards the environment, means a lot to me and all the people who worked in my lab and believed in the same cause," Saliba was quoted as saying on AUB’s website. "This prize could not have come at a better time because I decided since 2015 to put to use all the data we have and all my research efforts at the service of the citizens and the country to raise the levels of understanding from the base up and promote the democratisation of science for the benefits of the common." In fact Saliba, who is the head of the Atmospheric and Analytical Lab (AAL), has garnered several national and international recognitions. Lebanon’s President Michel Aoun recently awarded her the medal for National Order of Cedar, while she won the American Psychological Association Prize for Interdisciplinary Team Research in 2018. A couple of years before that, she nabbed the 2016 Lebanese National Council for Scientific Research Award in the environmental category. Living in Beirut, where there is an ever-growing pollution problem, Saliba was inspired to make a difference after wondering how many bad particles she inhales every time she gets stuck in bad traffic. Saliba, who established the first database of major atmospheric pollutants in Lebanon, measures, quantifies and studies various pollutants and contributing factors of contamination in the region. She focuses on understanding the chemical composition of atmospheric particles and inhalable particles to understand what type of particles are going into the body. Essentially, she is conducting world-leading research on the chemical and toxic composition of polluted air. Saliba has even initiated new research lines in atmospheric chemistry. Her innovative work, which includes medical analytical chemistry, will make it possible to address some of the most pressing environmental challenges. One of her amazing studies measured the contribution of dust storms originating in nearby deserts while it established the major causes of elevated levels of pollution in the city. The professor also helps municipalities and communities take concrete steps towards reducing their carbon footprint and hopes to influence health policies. She proved that open incineration of Lebanon’s waste has multiplied the toxic content of air by a factor of 1,500 percent. In the future, Saliba wants to help create a holistic, integrated approach to finding adaptive solutions to climate change challenges in the Middle East. Additionally, Saliba, who grew up on a Lebanese banana plantation, has created firm analytical methods to measure the principle toxic ingredients of tobacco smoke. She was the first to detect carcinogenic compounds (such as formaldehyde) in hookahs. She also found polycyclic aromatic hydrocarbons in hookahs come from charcoal, meaning that side stream smoke is as harmful as mainstream smoke. More recently, she has become the first to convey that electronic cigarettes can generate carbon monoxide, contrary to popular belief. The scientist is egged on by her desire to understand the essence of health and environmental risks at a molecular level. “It is the understanding of the nano- picture of the molecular structure and mechanisms of reactions that allows us to see the macro-picture of the climate and environment,” she is quoted as saying on the UNESCO website. Saliba, who studied at University of California, Irvine, has become an international reference for air pollution and tobacco and non-tobacco testing in the Middle East by contributing to the World Health Organization (WHO) air quality expert meetings. Her lab is one of the organisation’s Collaborating Centers for testing tobacco and electronic nicotine delivery systems. 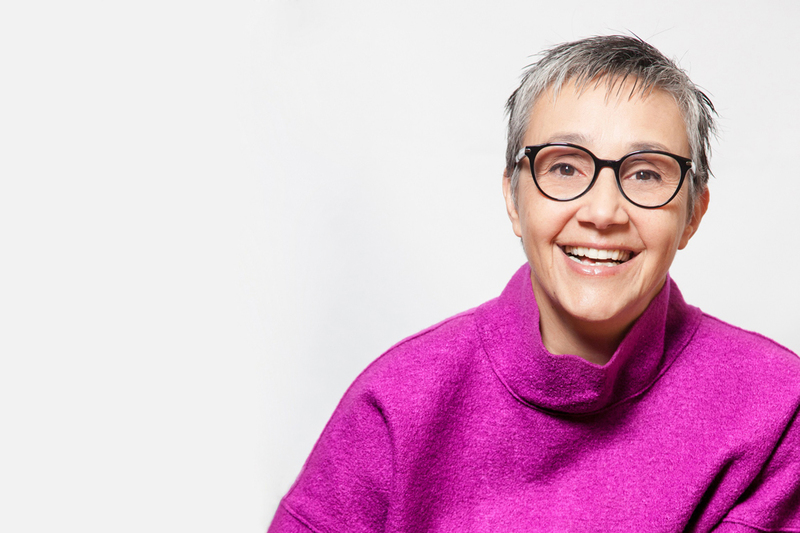 What’s more, Saliba, who has launched national, regional, and international collaborations and attracted local and international funds, is known for promoting women’s empowerment. And she is zealous about more women entering science. “Women are more inclusive, they are not afraid of sharing and are highly open to collaboration, which is vital to developing efficient, holistic approaches,” the UNESCO website reports her as saying. She thinks female scientists need to surmount social and cultural hurdles at the personal, local and international levels. Women can also help each other by leading by example and revealing success stories, according to her. As well as standing up for their rights, women should have a lot of confidence in their work and not be afraid of dreaming and making their own destiny.